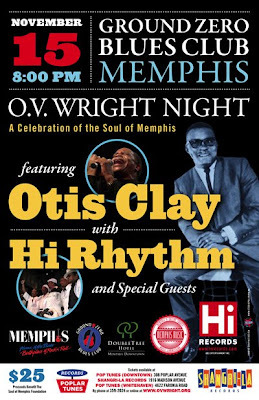 Yes, the one and only Otis Clay will be joining us in Memphis to help pay tribute to his good friend, O.V. Wright. 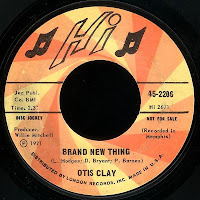 Long a favorite here at the ol' B Side (click here to read the post I wrote on him way back in April of 2006), Otis Clay is the real thing. Born in Mississippi, he came up through the ranks, singing Quartet Gospel in such venerable ensembles as The Pilgrim Harmonizers, The Gospel Songbirds, and The Sensational Nightingales. 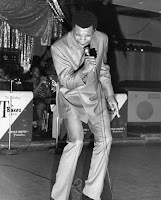 Otis has lived in Chicago since 1957, and became one of the founding fathers of Windy City Soul when he first 'crossed over' in the mid-sixties. He had begun working with the legendary Harold Burrage in 1964 (along with a young kid named Tyrone Fettson), and Harold got him signed to George Leaner's One-Derful! label the following year. 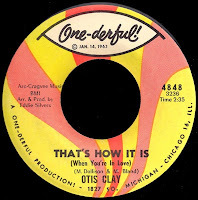 After a couple of minor local records, Otis hit big with That's How It Is (When You're In Love), which would break into the R&B top 40 in the summer of 1967. He had started working with producer Eddie Silvers after Burrage died suddenly in November of '66, and had become a respected member of the team at One-Derful! along with folks like Monk Higgins and Andre Williams. The company's biggest star at that point, Clay personified the kind of 'hard soul' that Leaner set out to create. He charted one more time for the label, before it folded in 1968. Otis signed with Atlantic later that year, and they sent him down to record with Rick Hall at Fame. His cover of Sir Doug's She's About A Mover was the first 45 issued on their Cotillion imprint, and it hovered around the middle of the R&B Hot 100 for a few weeks that summer. In 1970, after a couple of other non-chart entries, Atlantic decided to let Willie Mitchell try his hand at producing him. When the great Is It Over failed to sell much outside of the South, however, they dropped him, which cleared the way for Willie to sign him to Hi. Arriving in Memphis right on time, Otis would become a major part of the 'golden age' at the label, with his first single being released within weeks of Al Green's first #1 smash, Let's Stay Together in 1972. Clay's biggest hit was cut right there on South Lauderdale Street later that year, the amazing Trying To Live My Life Without You, which would spend over two months on the charts, climbing to #24 R&B. Just as with O.V. Wright, his hard edged soul delivery seemed to bring out the 'Memphis' in the groove that Hi Rhythm was laying down. 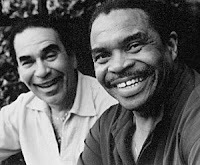 That groove, of course, was produced by Willie Mitchell, who had welcomed Otis as a part of the family. Southern Soul hero George Jackson had also been signed to Hi around the same time (his classic Aretha, Sing One For Me would reach the R&B top forty in 1972), and wrote this timeless anthem you're listening to now for Clay the following year. With his strong Gospel background, Otis spread the message into the R&B hot 100 that fall... these are words to live by, for sure, and Otis has continued to live that message to this day. 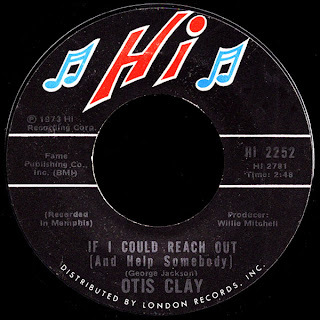 After a few more singles on Hi, Otis would record for a variety of other labels (head on over to The A Side for more on all of that), but it is his work with Hi Rhythm that stands out, in my opinion, as the highlight of his long career. 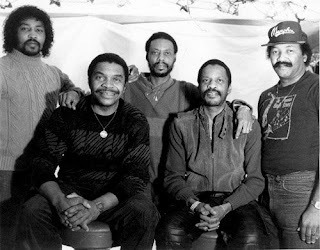 He would reunite with them for a concert that was released as a live album, Soul Man: Live In Japan on Bullseye in 1983 (check out the smokin' version of A Nickel and A Nail on there! ), and they were right back in the groove. They would continue to work on various projects for the remainder of the decade but, as far as I can tell, they haven't performed together since 1992. That's what makes this so exciting... if there's any way you can make it to Memphis on November 15th, we'd love to have you. Wish I had the cash to jump on a plane for this one! Congrats at scoring Clay for your fundraiser! Otis Clay!!!! He is one of the best vocalists that soul music ever saw. Every song he touched turned into something very special. I, too, wish I could be there -- if only to tell Otis Clay how much I admire and appreciate his music. My absolute favorites of his are: "I Die A Little Each Day" and "I Can't Take It." Thank you Red for all you have done to make this happen!!!!! I could not be there, wish this could have been recorded and filmed for us that couldnt make it. To know that the Greatest Soul men now have gravestones is beautiful, and we have you to be proud of for makeing this happen. Take Care!!! Danny (Blueshound ) Morrison.